With a gorgeous sunroom, big backyard, and huge 3-car garage, this 2 bedroom, 1 bath home offers space and tranquility in a convenient and central Richmond District location. The property features high ceilings, gleaming hardwood floors, and lovely period details. take a step into the inviting foyer and hang your coat up in the roomy coat closet before heading on up. 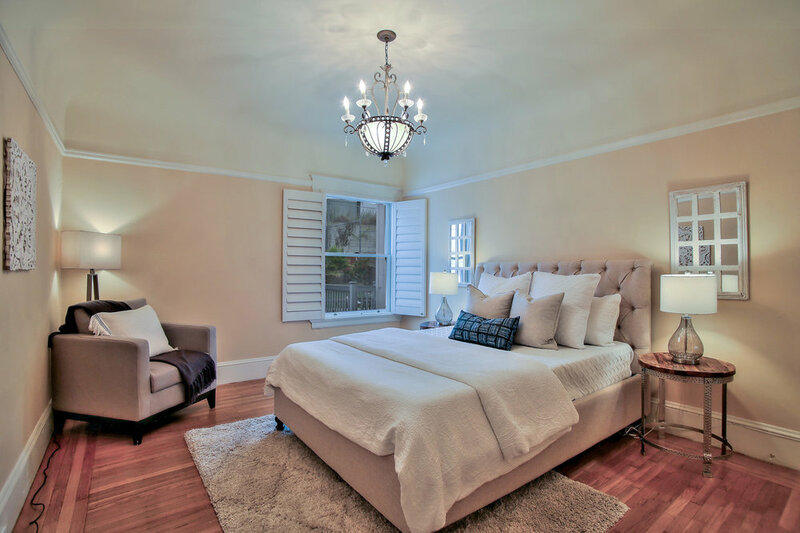 Upstairs on the main floor, crown molding adorns the walls, along with classic light fixtures and plantation shutters, adding charm throughout. In the expansive, light-filled living room, a stately brick fireplace acts as an eye-catching centerpiece and anchors the generous seating area. 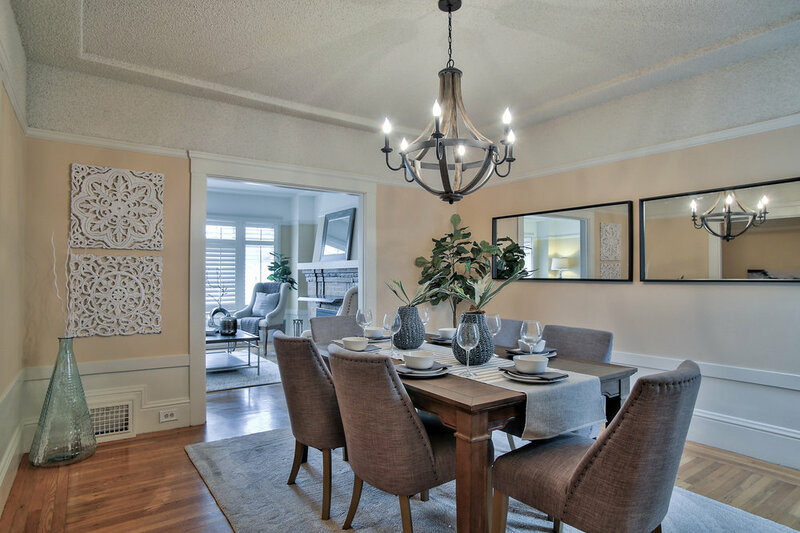 A well-appointed kitchen overlooks the elegant formal dining room and is perfect for entertaining, with bar seating, ample cabinet space, and access to stairs leading down to the ground level. Down the hall, there is a cheerful and sunny full bath and 2 serene bedrooms, one of which boasts a walk-in closet. To the rear lies a beautiful versatile sunroom that can be used as a playroom, home office, or den, with French sliding glass doors opening directly onto a sweeping deck overlooking the verdant and peaceful backyard. Outside, there is more than enough room to barbeque, relax, and indulge your green thumb. The 3-car garage completes this gem of a home, with space for a workshop and extra storage. Walk to shops, cafes and restaurants along Geary Boulevard or the Balboa Corridor, take a stroll through Golden Gate Park to the De Young Museum, Stow Lake and the Polo Fields; hop on public transit to go anywhere in the city you please. All of this and much more is within steps of your new home.